You know what’s weird? We pay such close attention to saving a buck or two at the supermarket, but rarely consider how much money we’re throwing away through the food we waste. As the Love Food Hate Waste campaign will illustrate, there are many causes of food waste. Luckily for you, dear reader, one of the main ones is a lack of awareness. So hopefully, if you’ve read this far, you can cross off that one. And with such awareness, you can assess how much food you’re wasting in your home. How does one do that? You can keep a food waste journal and factor in the dollar values of the food squandered (and for extra credit, the environmental impact). That will prompt you to draw some conclusions about the type and amount of food you’re wasting. Yet, you will achieve nearly identical results simply by composting. Separating out our food waste forces us to notice our patterns. And then it’s on you to—dare I say it—adapt. The solutions are not difficult, and I’m sure you will come up with your own as long as you’re motivated to do so. On that topic, remember—we’re talking about some significant cash savings here. And I haven’t even mentioned the ethical justness of not throwing away (or even composting) food when so many in our community don’t have enough to eat. Plus, there’s the significant environmental impact—if food waste were a country, it would be the third largest carbon emitter after China and the US. Buy less. I tend to shop more often, buying less each time. It’s easier to project food needs for a day or two than for a week. Keep it neat. The times when I waste food are when my fridge is cluttered. Keeping it relatively sparse helps, as does storing food in clear containers. Remember—out of sight is out of mind (is out with the compost). Be realistic. Factor in your busy lives and how much (or little) time you have to cook. It may make sense to not buy as many perishable ingredients. Love your leftovers. I usually plan a leftover smorgasbord meal once a week, or plan to have one dinner twice during the week (“planned-overs”). Alternately, the best lunch is last night’s dinner. But I find that packing up a meal-size portion the night before facilitates the whole process. Strategize. Plan several meals around similar recipe items and avoid those recipe one-timers. I’m much more likely to use parsley on back-to-back nights than I am parsnips. But maybe you’re the opposite. That’s why you should create your own, personalized food waste reduction strategies. 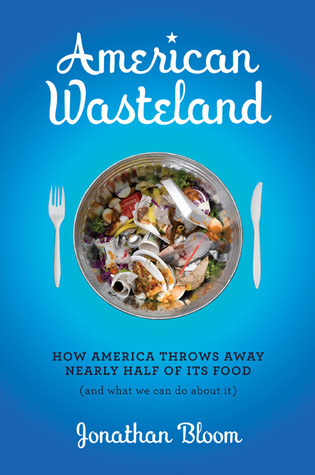 I’ll leave you with a final thought: a waste study in one part of New York found that the most food waste came from households. That means we individuals have plenty of room for improvement. But more importantly, we have real agency here. So let’s get to it! This article is crossposted on Metro Vancouver’s Love Food Hate Waste campaign site. This entry was posted in General, Household, Supermarket and tagged avoiding waste, food waste, Jonathan Bloom, Love Food Hate Waste, strategies, Tips, Vancouver, waste reduction, Wasted Food. Bookmark the permalink. Both comments and trackbacks are currently closed.